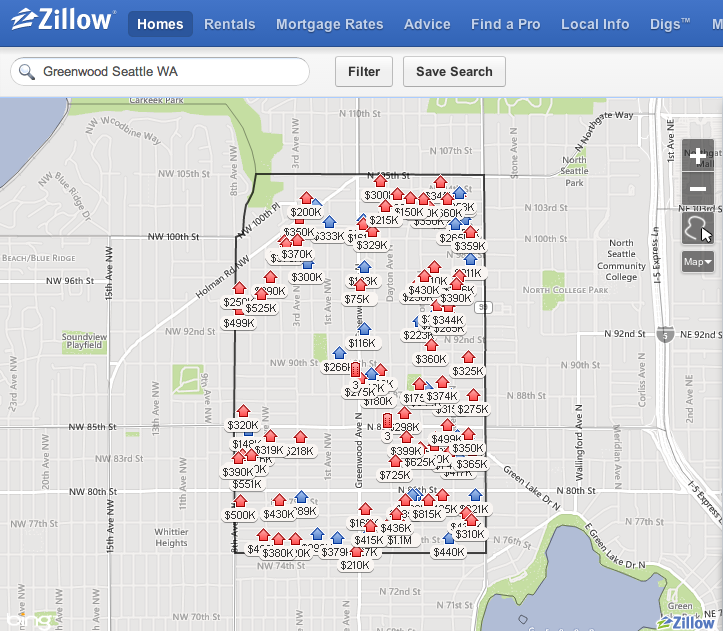 Greenwood is the neighborhood between Aurora Ave N and 8th Ave NW, from 75th to 135th St. Here is the 2010 Census data. Over the past 10 years, Greenwood has attracted 10% more families (2+ household). In the 2000 Census, there were about 42.2% households with only single persons. And only 17.8% of the households has children. By 2010, census shows 31.8% of the households in Greenwood now has children! Source: Zilliow.com; demographic information comes from data in the 2000 U.S. Census. Thanks for reading! Please let me know if you believe there is a misinterpretation of the census data on my charts or you see a way to improve them! I appreciate your suggestions! ← Part of the family: Barlee is 7 today!